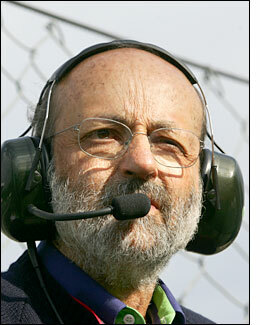 Henri Pescarolo has already announced that he intends to return to the fray next season with a new Pescarolo LMP1 car. The new LMP1 will retain much of the well proven package that has dominated the Le Mans Series this season, and fought valiantly against the Audi R10s at Le Mans, but will of course feature a new tub that will accommodate the full 2007 regulations. The first chassis will reach the team by late November and the good news is that senior figures within the team confirmed to dsc yesterday that there are already customer chassis confirmed for delivery before the start of the 2007 season. The story now gets more interesting still. One of these chassis will run as an LMP1, a new car being built around the Pescarolo tub. “The chassis is bought and paid for,” confirmed M. Pescarolo himself yesterday, “I am delighted with the sale and with the way that Laurence Pearce has dealt with us.” So it is now confirmed that the new for 2007 Lister prototype will be based on a Pescarolo tub, with the rest of the car being designed in-house by the popular British team. With teams wishing to remain tight lipped on final plans, other details are scarce, but at least one of the remaining first batch of chassis will be used in an LMP2 effort next season, by a team currently running a Courage C65, the deal to buy the chassis having been concluded in the last few days. The new Pescarolo tub would allow teams running the current Courage C65 to retain a large proportion of their current inventory of components “The only significant change (other than bodywork) is that the upper wishbones will need to be a little longer,” suggested a Pescarolo source. That’s good news for teams currently wondering what to do with a very soon to be outdated C65. One team (and they are not the only one!) taking a good hard look at the Pescarolo is Paul Belmondo Racing. As of this morning though the eponymous team owner would only confirm that his team will field “one (LMP2) car in 2007. We will run with the AER engine and we are 85% likely to run with the bio-ethanol fuel, and 85% likely to run the new Courage (LC75), with a 15% chance that we could run the new Pescarolo. It seems that Henri Pescarolo’s support for sportscar racing in Europe is finally beginning to pay off commercially for the team.